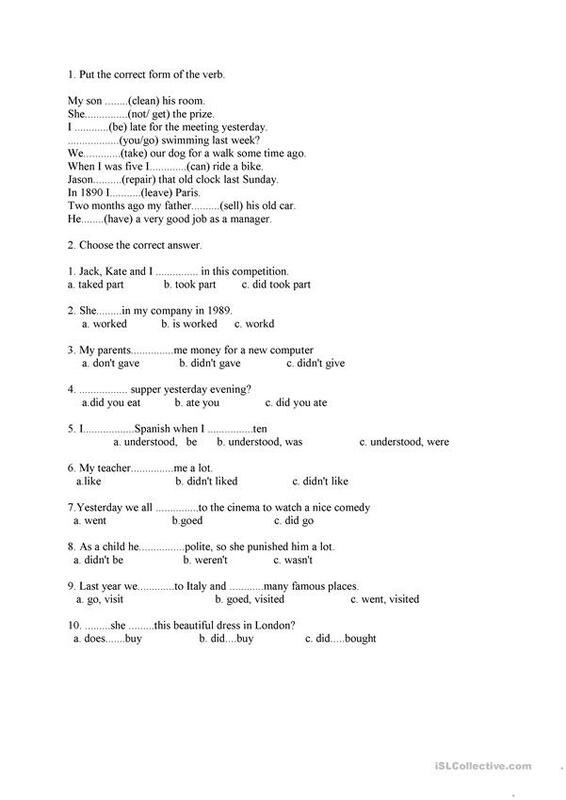 You can give it to your students as the revision of Simple Past or as a test checking their knowledge. The present downloadable printable is a great resource for high school students, elementary school students and adults at Pre-intermediate (A2) and Intermediate (B1) level. It is aimed at teaching Past simple tense in English, and can be used for honing your learners' Reading skills. maddlene is from/lives in Poland and has been a member of iSLCollective since 2013-02-17 14:14:53. maddlene last logged in on 2013-02-17 15:52:56, and has shared 1 resources on iSLCollective so far.